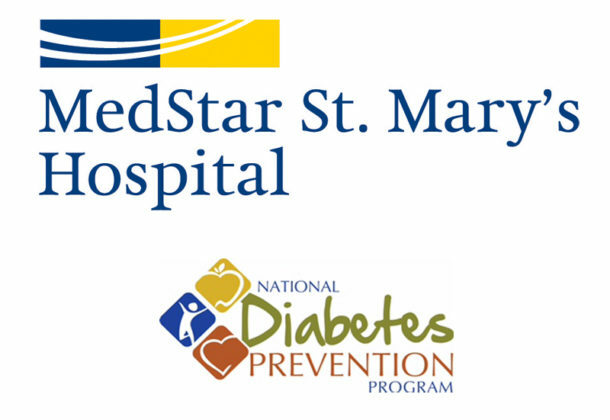 MedStar St. Mary’s Hospital in Leonardtown has earned CDC Recognition for its Diabetes Prevention Program. The hospital was awarded full recognition by the Centers for Disease Control, an honor reserved for “programs that have effectively delivered a quality, evidence-based program that meets all of the standards for CDC recognition,” according to a letter from the CDC. To earn the recognition, the CDC also requires that at least 35 percent of participants in the programs be diagnosed with pre-diabetes through blood testing or have a history of gestational diabetes, a dangerous condition for pregnant women. As part of the MedStar Diabetes Institute, MedStar St. Mary’s Hospital also offers an excellent diabetes education program that has been recognized by the American Diabetes Association and is provided by a registered nurse and a dietician who has been trained in diabetes management. Check out the MedStar St. Mary’s Hospital Calendar for information on classes related to diabetes management or call 301-475-6019. MedStar St. Mary’s Hospital is a full-service community hospital, delivering state-of-the-art emergency, acute inpatient and outpatient care. MedStar St. Mary’s provides advanced technology with a dedication to excellence in all services provided. The not-for-profit hospital has been named among the nation’s Top 100 Hospitals and is an eight-time recipient of the prestigious Delmarva Medicare Excellence Award.